Oh man, sorry y’all. I know my posts have been fewer than usual and although I’m not truly apologizing for it, I guess I’ll at least acknowledge it. Life is C-R-A-Z-Y lately and I can’t wait to share the details behind the reasons. However, today is not that day, so instead, let’s focus on my wicked exciting plans for this upcoming long weekend. I’ve been trying to put together a backpacking trip this weekend out of necessity since I have a flipping ton of gear testing that needs to happen. Naturally, one needs to use the gear in order to sufficiently test it, so backpacking was both a moral imperative and serious desire. I am dying to get on the trail! Will and I debated where we wanted to go this weekend for a few reasons. First of all, it’s Memorial Weekend which means the usual trails are jam packed with people and tourists. Not an ideal situation. Additionally, we need to be back by Sunday afternoon, so we can’t go anywhere that requires a long car drive to the trailhead. Finally, I really wanted to visit an area that was unfamiliar to me. 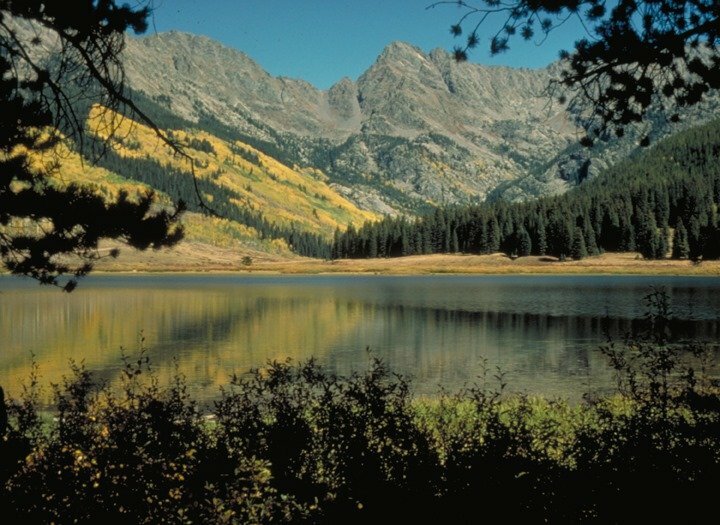 We started to look into the Medicine Bow National Forest, but we somehow stumbled upon the Rawah Wilderness in Colorado. It’s beyond me how I’ve never explored the area, so we figured it’s about time to remedy that situation! The Rawah Wilderness is located in the north central part of the state, tucked up quasi-close to the Wyoming border. If y’all know where Walden is, you kind of already know the area. Its 76,000+ acres include at least 25 different lakes, which was definitely appealing to me; I love backpacking by lakes simply because it is an easy source of water for both Tally and me. The Rawah also covers 85 miles of trails with elevations beginning around 8500 feet and topping out just under 13,000. This is pretty low altitude so I’m hoping there won’t be too much snow left. Anyway, as per usual for me, I haven’t packed a single item, nor have we even begun to shop for food! As I mentioned, I’m testing a lot of gear out on the trip, so that should be epic. I literally think every single item (pack, sleeping bag, tent, boots, pants, jacket, first aid kit, water bottle, cooking kit, etc.) will be new to me, so this could go one of two ways: amazing with rave reviews, or horribly wrong so that I end up stumbling out of the mountains with raw foot blisters and bruised shoulders….while sopping wet and hungry. Hard to tell at this point, so let’s hope for the former! Hope everyone has a safe and wonderful Memorial Weekend! What are your plans for the long weekend? Any outdoor adventures or races? Have fun and I hope your new gear treats you well! That’s so exciting! You make me actually want to try backpacking. So you carry all the gear and camp overnight and then continue hiking right? Have a great time! You got it! We’re going to try to hike for an hour or so tonight, camp, hike all day tomorrow, camp tomorrow night, and then hike out on Sunday morning. It’s awesome because you get to camp and enjoy some of the most beautiful areas that cars and others can’t reach 🙂 I think you’d like it! No grandiose plans for me this weekend. Have a blast! You are a brave soul for backpacking with new boots! I always wear mine in a handful of times on day hikes before takin’ ’em out for a multiday trip! Godspeed my friend! Have fun! How beautiful! I had plans to hike a mountain in New Hampshire this weekend, but the forecast is pure thunderstorms so I’m skipping it. Maybe another time. Happy Friday! I love finding new stuff relatively close to me. At first I think “Why have I NEVER found this? !” followed by super excitement! Have fun, and don’t forget your camera! That always kills me! Colorado is such a large playground though; I feel like I am ALWAYS finding new places! Just a heads up that you will probably find some wet and sloppy conditions. We got a lot of late snow pack and rainfall. The rivers are flooded here in Laramie. But, it’s probably that way in a lot of the areas up here right now. They just opened the road to the top of Med Bow Peak yesterday and they had to plow snow all week to open it. But, that’s further North and higher up. Should be fun regardless! Enjoy! Thanks for the tip! Yeah, we figured it would be pretty wet and muddy since we got all that late season snow– here’s to hoping the gear performs as it promises! I hope you have a wonderful time. That picture is so beautiful. The Rawah looks awesome! I’ll be waitressing tables all weekend so I’m totally jealous! Have fun! I’m interested to hear your reviews on both gear and the wilderness. We’ve never backpacked that area either. We’re actually going to spend the long weekend (plus a few days) in Colorado exploring land possibilities. I think saying I’m excited is an understatement!